 Your Laka policy will be on a “new for old” basis, this means that if you have to claim we will replace your bicycle or accessories as new or with the nearest available, new, equivalent. We won&apos;t apply depreciation of the value of your bike over time. Remember that the community will not pay out more than the sum insured you’ve selected. If you insure your bike for much less than the Recommended Retail Price (RRP) or the replacement cost then this means that you&apos;re not paying your fair share to the community and so we may have to reduce your claim. This is called underinsurance. Want the greatest level of comfort? You should insure your bike or accessories for the RRP as new, that way we know we’ll be able to replace your bike as new! If you have a custom bike we suggest you insure it for what you paid for it. Remember that if you got your insured gear at a killer discount that the same discount might not be available when you come to make a claim. So if you choose to insure your gear for the discounted price you paid and not the RRP as new, that means you might be underinsured and we may not be able to replace your bike on a like for like basis. If your bike or gear is a little older, then you may wish to insure it for what it would cost to replace today. If you choose to do this then when you come to claim we will do our best to replace your bike as new but remember that the community will only ever pay out up to the sum insured you’ve selected. Remember, if you’re underinsured we may have to reduce your claim.